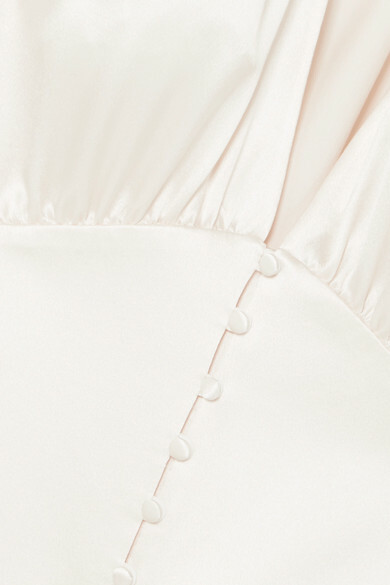 Inspired by mid-century silhouettes, Saint Laurent's ivory blouse has a corset-like waist that's traced with covered buttons. It's made from lustrous silk-satin which drapes beautifully from the ruched shoulders. Channel the Spring '19 runway and wear it with denim shorts and platforms. Shown here with: Saint Laurent Shoulder bag, Saint Laurent Earrings.